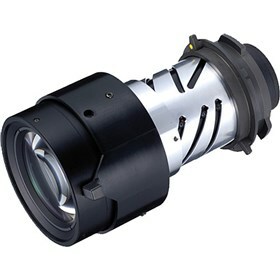 The NEC NP15ZL is an accessory lens designed for the NP-PA600X, NP-PA500X, NP-PA550W, NP-PA500U, NP-PA500X-13ZL, NP-PA500U-13ZL, NP-PA550W-13ZL, and NP-PA600X-13ZL projectors. This lens features a throw ratio of 4.7-7.2:1. The NEC NP15ZL has many exciting features for users of all types. The NEC NP15ZL is sold as a Brand New Unopened Item.